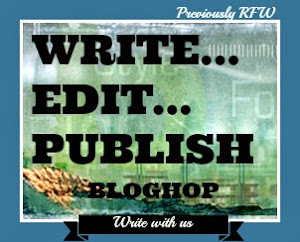 1. to share with us a paragraph from a novel, or an extract from a poem, or a photograph that stopped your heart with a spectacular setting etc. 2. then you will describe to us how your chosen 'setting' spoke to you. Why did you like it? 3. share a photograph that blows you away every time you look at it and tell us why. 4. share an artwork that shows a 'setting' you love and tell us why you love it. 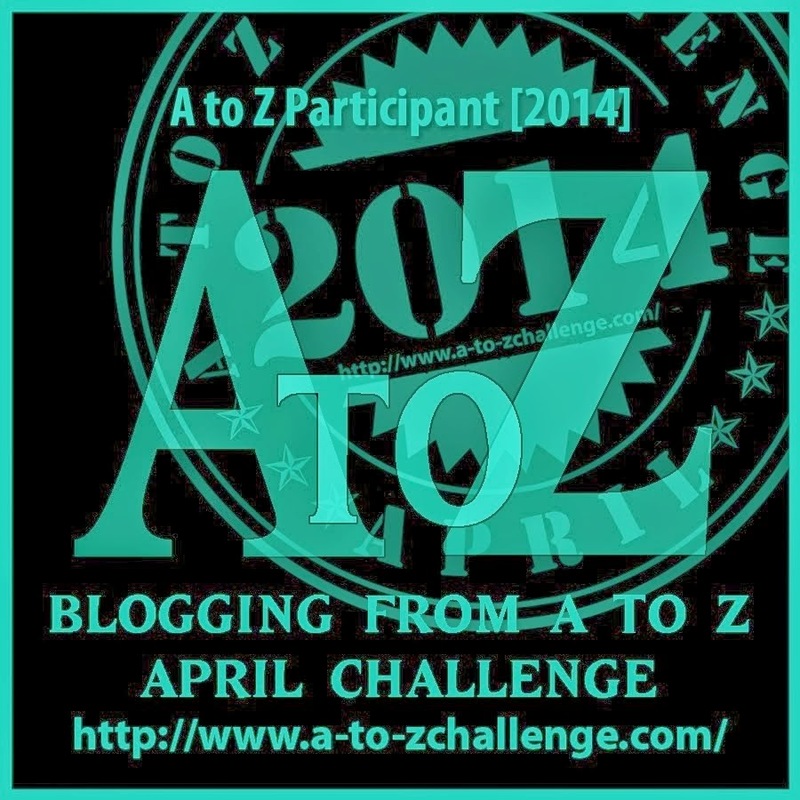 5. write a small playscript which is all about 'setting'. Remember, setting is both place and time. Many thanks go to our hosts Denise Covey and Yolanda Renee for re-establishing WEP, a bi-monthly writing challenge, they work very hard to ensure everything runs as smoothly as possible. From the old and pleasantly situated village of Mayenfeld, a footpath winds through green and shady meadows to the foot of the mountains, which on this side look down from their stern and lofty heights upon the valley below. The land grows gradually wilder as the path ascends, and the climber has not gone far before he begins to inhale the fragrance of the short grass and sturdy mountain plants, for the way is steep and leads directly up to the summits above. I read Heidi as a young girl, probably nine or ten years old. The description of a path leading up to a mountain took my imagination as something I had never experienced and probably never would. It was only in books that I could realise the potential of such words and try and use them in my everyday language, not that that went down well with my peers who thought I was a bit of a snob. As the story proceeds it becomes clear that this idyllic route to the top is going to change a little girl’s life in ways unimaginable. The power of words can conjure up fantastic images, spectacular settings and along with an image, as on the cover of this particular book, a story to unfold. I only wish I still had my childhood copy of the book. I do have a copy downloaded on to my Kindle for posterity’s sake. This picture plucks at my heart strings. It is a picture of a very dear little boy plus the added spectacle of the sea meeting the sky. To me, it is very evocative. The freedom and joy expressed in the little boy’s stance is priceless. Different hues of blue spread across the horizon, the sun glinted and sparkled on the water, shining like diamonds on crests of gentle rippling waves. The horizon stretched out as far as the eye could see, the sky a cloudless azure, a perfect summer’s day. It wasn’t very often a day like this happened in the UK. Molly had decided to make the most of this rare opportunity, packed up her large, cavernous stripy bag, stuffing in suntan lotion, bottles of water, wet wipes, nappies, a change of clothing, snacks and treats, her mobile phone (most important) a couple of towels and various other must-haves for a day at the beach. After settling down in a sunny spot, she slathered his arms and legs and nose with Factor 50, as he protested and squirmed with lots of laughter and tickles along the way but she must protect her blonde, blue eyed baby boy from the ravages of the depleted ozone layer. She jammed his sun hat on his head, turned him towards the shingle and let him go. She let Timmy run loose where she could keep her eye on him because if you gave her 18 month old toddler an inch then he would gaily and cheerfully take the mile. His little legs toddled off, his arms came up, his hands fisted in joy as he kicked out with his legs finding running a bit more difficult over the pebbles than running around on a floor or the paved courtyard at home. Molly could hear his squeals of delight as he spied the water. Luckily there was a drop down to the beach before the tide met the sand so if he took it into his head to go charging towards the salty water she would be able to catch him and bring him back to safety. Crossing her legs into a quasi lotus position Molly reached into her bag for her tobacco. Keeping a beady eye on her youngster she rolled a cigarette and thought she would add a little magic to it this morning. They planned to stay on the beach for several hours so she would be safe to drive back home later. Taking a well earned puff, she exhaled slowly as her thoughts turned to more than a year ago when her labour pains began nearly two months early. 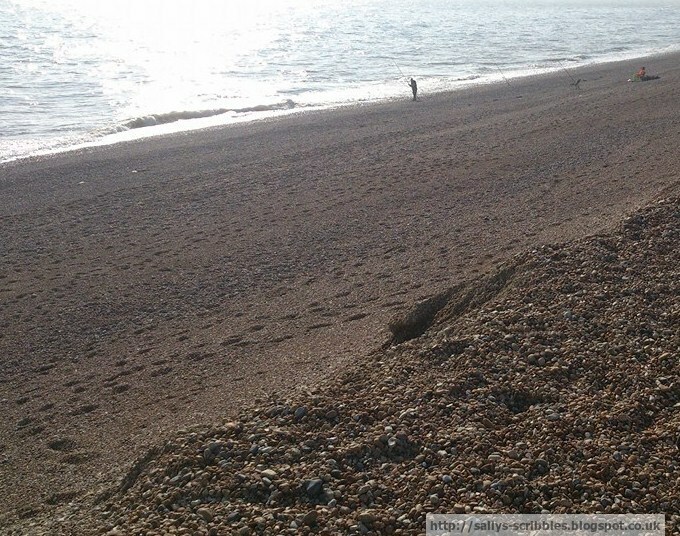 Living in a hamlet in a headland on the south east coast of England, sheltered in an area of low-lying land, meant that a journey to the nearest hospital would take 40 minutes. Luckily her good neighbour bundled her and her partner, along with her own young son, into her car and drove as quickly and as safely as possible to the hospital. Frantic calls to the imminent grandparents ensued but young Timmy decided he wouldn’t wait for anybody. After a couple of days in an incubator and a couple of weeks in the special care unit Molly was able to bring her small baby home. She waved to him as he called to her, pointing to something he saw out on the sea, his bright inquisitive eyes spotting something only visible to him. Perhaps it was a glint from the sun making a shape of a whale or something similar. Mellowing out and relaxing her mind further Molly now considered her future. She had a major decision to make and although most of her mind was made up she tried to consider all aspects. It really wasn’t going to be an easy decision. Pros and cons, what-ifs, maybes, should she and, most importantly, could she make a life if she took this course of action. Molly knew she would upset a lot of people by taking this decision but her main concern would be to ensure Timmy had a loving home life, his relations around him and that she had a good support network. She unfurled her limbs, stood up and stretched in to a yoga pose she used to do, elongating her back and folding her waist over to reach down to her feet. As she rose again she saw Timmy’s quizzical face in her eye line. Jabbering away in what she termed ‘Timmy-speak’ he pulled at her shorts making her come with him and pointing to the sea. Molly picked him up in her arms and pulled his trainers and socks off, slipped her own sandals off on to the rug, adjusting Timmy’s weight in her arms a bit more securely, they made their way over the shingle to the edge of the water. Timmy squealed as she dangled his feet in the salty water. She placed him down on his two feet, gripping his hand tightly, much to his protests, as a gentle ripple washed over her larger feet and his tiny, white feet. A piece of brown seaweed became entangled inbetween Molly’s toes, cold and squidgy and lumpy; she let go briefly of Timmy’s hand to disengage the smelly algae from between her toes. Down he went on hands and knees, full face into the briny liquid. Molly scooped him up as he spluttered all over her; she brushed the water from his eyes and pushed his hair back on his forehead. ‘Again, mummy, again,’ came the delighted shouts. Nothing fazed this boy of hers. He had no cares in his little world, he cried, he was picked up, he was hungry, he was fed along with all the other caring aspects of tending to a toddler. If only her own life was that simple. Back on the rug, cuddled into her, her sleepy boy nodded off. Molly took the opportunity to gaze out to the sea, the horizon a line divided by two colours of blue, meeting far out. She knew there was more out there, she knew there was another life waiting for her. Did she have the courage? Should she wait and see if things got better? Did she want them to get better? She must find an answer soon. Hi Sally! Great to see another member of the old gang back! Loved Heidi as a child. I won the book for English at school and its words hooked me on Switzerland. I vowed to visit one day, and now I've visited two or three times. Those mountains are magical and Spryi's words were magical to me too. Luckily I still have my old hard copy with its tatty cover. Love it. Adore the photo of the little boy. Dancing with joy, isn't he? Delightful. 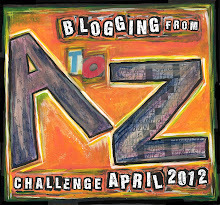 Thanks for your lovely entry! I had forgotten all about Heidi - I'm going to fish out a copy later and re-read it. Your piece calls forth a lot of emotion, particularly the combination of joy and pain that a parent feels when looking at their child and knowing that a life-changing event is on the horizon. Well done. Another "Heidi" fan checking in. Now this is a challenge to challenge all challenges. Good for you to meet it and beat it. I didn't read Heidi but I think I would have enjoyed it. Nice piece of the mother and boy at the sea. I love the sea, any body of water actually, that your story reminded me of lovely days blissfully under the water's spell. Thank you. I first heard of Heidi moving to Germany. Since then, i've read it and seen the movie several times on television. As for your, The Beach, I like the intro. I looked at your picture and it helped me move into the feelings of a young mother and her child. Tension was also there. Her decision has to be made. She knows she is going to hurt or disappoint a lot of people. It sounds like she is getting ready to take a giant step that is going to change her life forever. Wonderful piece of writing, so full of love for her son! 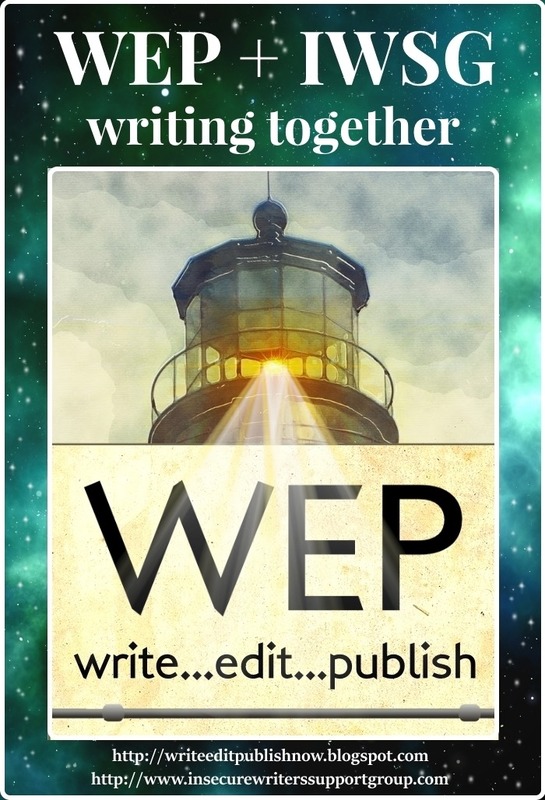 As I explore the WEP entries I am loving seeing how many other people have been touched, moved, inspired and changed by the same books which have captivated me. 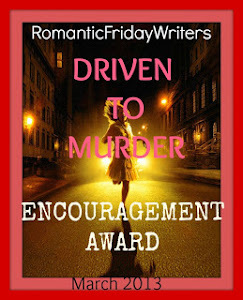 It is so wonderful to see you back as a contributor, she who has fed my addiction for flash fiction with Friday Fictioneers, and Mondays Finish The Story. Did I ever thank you for that, or blame you? Thank you! I do enjoy them, immensely! 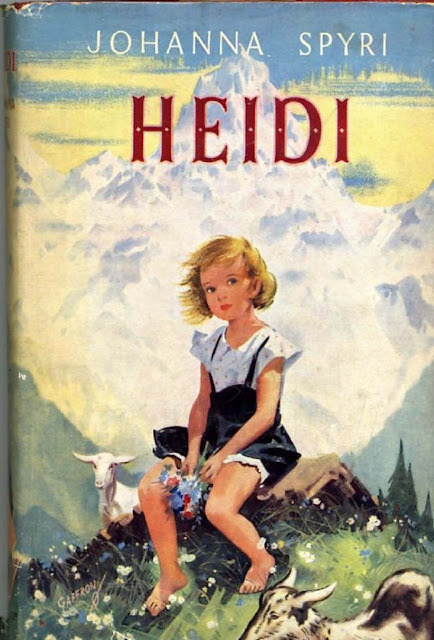 Heidi was such magical tale, and I do remember that my copy came from the library. One of my first reads! My words here will do no justice to the piece as you have said it well: "The power of words can conjure up fantastic images, spectacular settings and along with an image, as on the cover of this particular book, a story to unfold." It did and still does for many a child. A wonderful choice for setting. The picture that inspired The Beach is perfect for the story you've told! And what a story it is. My own memories of travels to the beach came flooding back. When my boys were younger, we visited the beach annually on vacation. I loved recalling that joy, thank you! 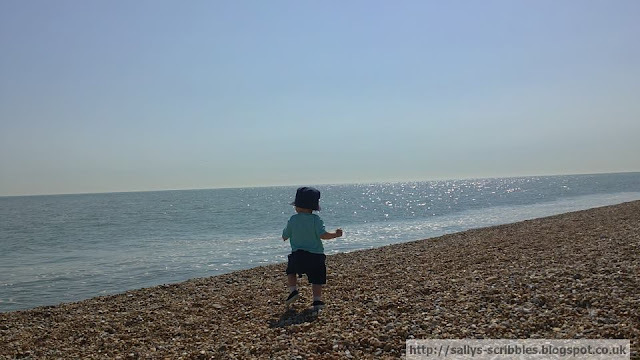 A perfect summer day screams for the world to take notice and Molly and her young son did just that. She's made up her mind, I feel her 'courage,' but also the doubts that arise when such a changes is called for. After reading it you want to shout, "go for it Molly, give your son the future he deserves!" 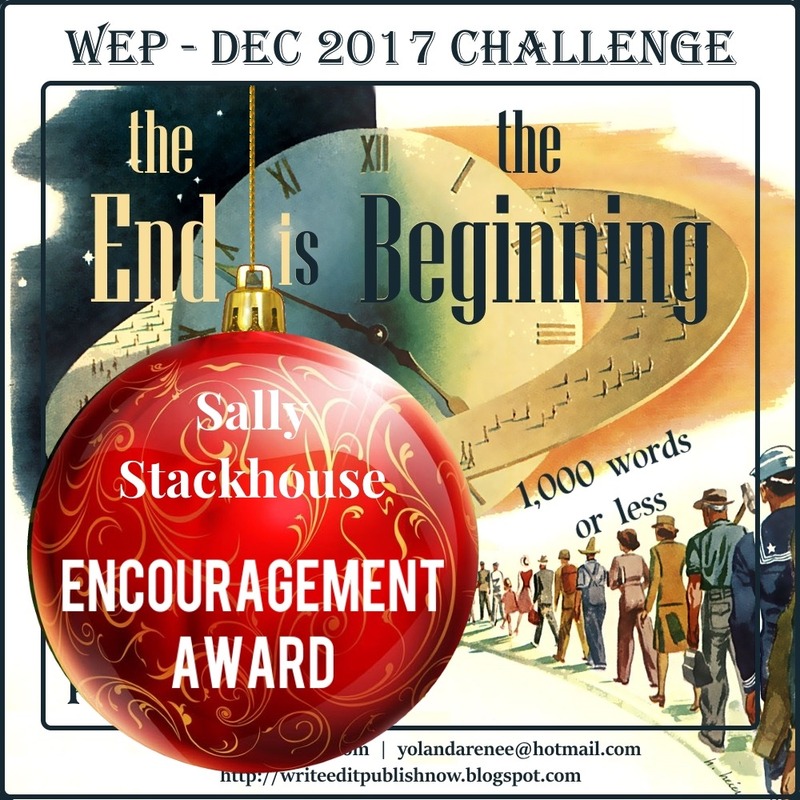 Thank you Sally for adding your magnificent talent to the WEP Spectacular Settings Challenge. 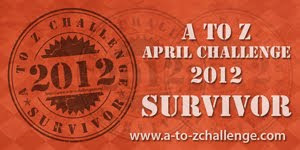 I have no doubt that you'll return in October for the Halloween challenge, Childhood Frights vs. Adult Fears! Back again Sally! I loved The Beach, although I kept fearing her little boy was going to drown while she was mulling over her difficult decisions! See, I read too many sad books! But your writing took me right there to the beach, helped along by that magnificent photo. It was lovely the way you juxtaposed her thoughts with the real-time setting. 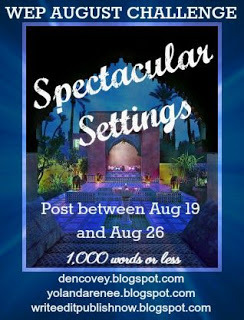 Thanks so much for your great post for WEP's Spectacular Settings! It's great to be back and reacquaint with the old gang and meet so many new friends! I read Heidi as a young girl as well and it made me want to see other places. I grew up in the southeast flatlands of the US, and the first time I saw a mountain, it took my breath away. I really enjoyed your story and wondered at all the things left unsaid. The beach is a place that changes with each ebb and rise of the waves. To me that setting is soothing, and a suitable place to ponder life changes. Wouldn't you absolutely love to read Heidi again for the first time? I remember how I couldn't wait to get back into that story. I must have been about the same as you when I met that girl. My favorite image in this piece of yours is the "cavernous bag" and I suppose that's because it stands out as unique and perfectly descriptive of a mom's bag at the beach with a toddler off for an adventure. 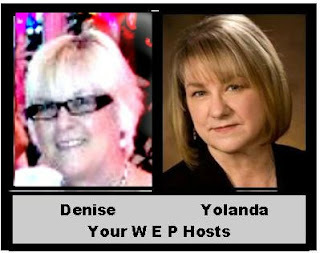 I am a bit frustrated between Google and WordPress trying to leave comments so I am using my Google account. I wanted to say that your story describes well a typical scene of mother and toddler at the beach. The anxiety a mother feels and the constant vigilance. There is this undercurrent of danger and the uneasy feeling about the decision she is trying to make. I've never read Heidi, but I'm thinking I should! There's so much feeling in this piece! The gorgeous, peacefulness of the beach juxtaposed with the mother's anxious thoughts. Really liked it! One thing I noticed 'She placed him down on his two feet' as apposed to what, his three feet? A foot is a foot, feet is two, so having the two is redundant. Really though, fantastic piece! I'm so curious as to what this decision is the mother is trying to come to.. and the results! Oh, wow... Heidi -- and for Throwback Thursday, no less! You sent me flying off to YouTube to find the series (there it was, in its entirety). I watched the first episode and sobbed like a baby, haha. What fantastic memories! See, my grandmother lived in the mountains, and my cousin, two years older than me, lived next door to her. Heidi meant so, so much to me -- and I hadn't thought of her for a while. Thanks for bringing that back. Loved your piece, The Beach. Great snapshot of a young mother at the brink of a lifechanging decision. Would love to know what it is! I especially liked how you tie in Timmy's pointing at the water to Molly's closing lines about a better life being 'out there' for them. Great job! I too loved Heidi as a youngster. I know what you mean about the exotic tinge it exudes. I really enjoyed The Beach. It conveys all the wonders and all the agonies of parenthood. Your descriptions are beautiful. I felt I was there, staring out into the blue yonder. The interactions between Molly and Timmy are moving. I wish them both health and happiness. I love this little guy.... Full of energy and everything is new and fresh... The underlying decision haunts the tranquil scene. Nicely written. I'd like to know more. Heidi has such an enchanting setting. I loved your story, The Beach. I felt the danger, and at one point, got the impression that the little boy would run into the water, unsupervised. I think that helped to maintain the right level of tension... and thankfully the story didn't go in that direction. I remember reading Heidi when I was a child too. Great selection and your story painted a beautiful picture of mother and son. Quite a few of the WEP entries have mountains as their settings :) - Heidi is charming and the excerpt is entirely fitting and lovely. This was absolutely delightful and Heidi was one of my favorite childhood books. You had me wising I could go splashing into the sea with Timmy. I've never read Heidi, though that little description piqued my interest. The rolling hills, the little village, the child bundled up in the middle of summer. It's some very vivid and intriguing imagery. The Beach was a nice play of contrasts. On the one hand we have the boy, so excited to discover a new world. On the other hand, his mother, who loves him dearly but has a troubling decisions ahead. What is it? Does it involve him I got the sense she might be planning to give him up for adoption so he can have a better life, but I may have been reading too far between the lines. A lovely story, with just a tinge of sadness.